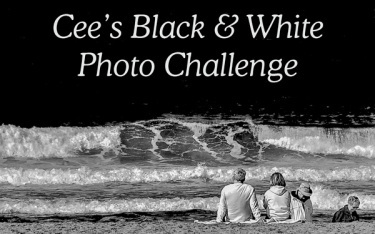 This is my entry into Cee’s Black and White Challenge. This week’s theme is Anything that Starts with the Letter S.
All of today’s pictures were taken around Hartsholme Country Park in Lincoln, UK, back in November. I hope you all like them. Do you have a favourite? These are all wonderful “S”s for this week’s challenge. Thanks for playing. Thanks Cee. I knew which pictures I’d post as soon as I saw the prompt. 🙂 I’m glad you like them. Thanks, Ameena. 🙂 The squirrel seems to be quite popular! Great pictures! I particularly like the cute little squirrel and the two pictures on the upper left corner. There’s an ominous feel to picture at the upper left corner, like something out of a fantasy. Like vely photos, love the last one and the first the most. Beautiful black and white photos. The first and second pictures are my favourites. All the photos are lovely but my favorite is the squirrel! What a beautiful shot! Thanks PJ. I’ve been waiting for a chance to use the squirrel picture. 🙂 I’m glad you like it. Oh, and the first one I thought stood for “sun” but it was step. That was a beautiful shot too! I’m glad you like them, Jessie. I think I’d like a slide like that in the back garden even now!